My grandmother passed away a few days ago, and I will be at her funeral tomorrow morning. She’s been unwell for a while so her passing was not unexpected. In fact, I have been thinking about writing this blog about her for over a year without having found the strength to string any words together until now. I’m not a sentimental person. I spend very little time thinking about what is done except when a memory can help me move forward. Even in mourning I find myself thinking about today. 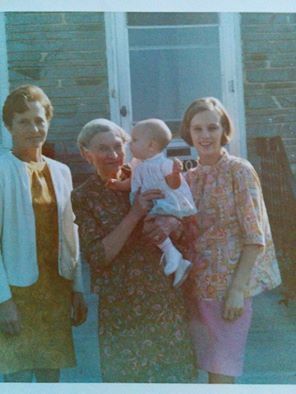 The picture below is of four generations. The woman at the centre is my great grandmother, Ada. On the left is her daughter, my grandmother Anna. On the right is my mother and Anna’s daughter, Margaret. The babe in arms is me. In the past week I have thought fondly of moments, items and traditions that link me to these women, and my grandmother in particular. I remember spraining an ankle because I jumped on Grandma’s couch even after she told me not to. I have a photo of me taking my first steps in an emerald green velvet dress she sewed for me, and I have the pattern she used to make it. I remember sitting at her old sewing machine while she helped my sew clothes for my baby on the way. I remember when she helped me give him his first bath. I use her pastry recipe when I make my Christmas butter tarts. I cherish these little memories of her, but what I value most is the differences between our lives. The gulf of experience between the babe in arms and the woman who holds her is immense. Ada was born before women could vote. 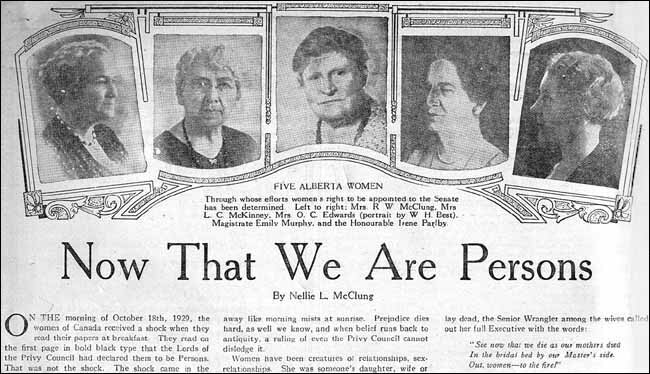 My grandmother Anna was born seven months before women were recognized as persons under Canadian law. My mother Margaret was born seven years before Canada passed The Female Employees Equal Pay Act. I was born the year after Prime Minister Lester Pearson established a Royal Commission on the Status of Women. The world – my world – is a better place for each step forward taken by generations before me. My life is better for what each generation of women have passed on to me. I recently read an article about the ‘mother wound’: the pain of being a woman passed down through generations of women in patriarchal cultures. I feel this wound as part of mourning. 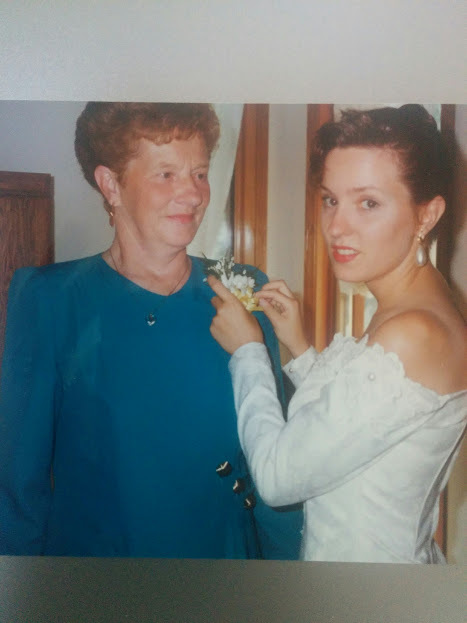 I feel not only the loss of my grandmother, but the final and irrevocable loss of what she wanted to be, could have been, and would have been had she been born when I was. I feel guilty that I have achieved that was out of her reach. How do I reconcile that with my continuing pursuit of happiness? How do I avoid carrying the guilt of continuing my journey, knowing hers is at an end? I do that by keeping her in the present. Ada, Anna, Margaret and Darcy are tied together. No matter how far I go in life, how many more choices I have available, how much more freedom I enjoy, and how much more dignity of person I win, my life is tied to her life, and my life will be tied going forward in an endless daisy chain of of women’s experiences and dreams. Anything I have, it belongs to my Grandmother too. She earned it with me. I don’t have to say goodbye to her because I’m not leaving her behind. 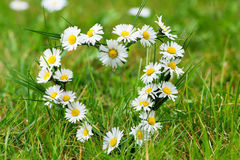 I’m keeping her in my heart, tied to me with everything I do.